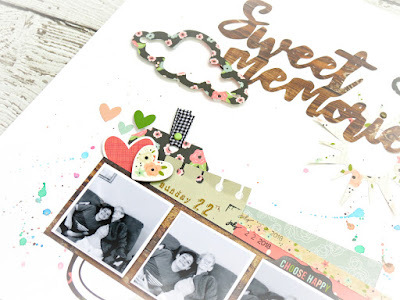 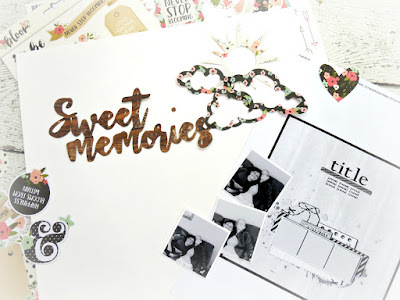 My Creative Scrapbook: Sweet Memories with Yvette! 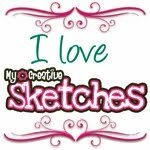 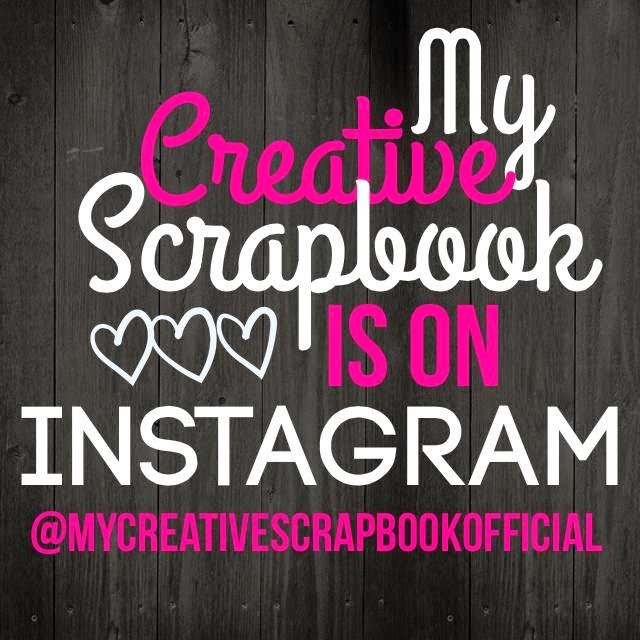 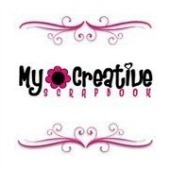 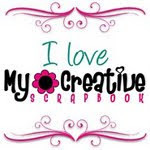 Hi My Creative Scrapbook Friends! 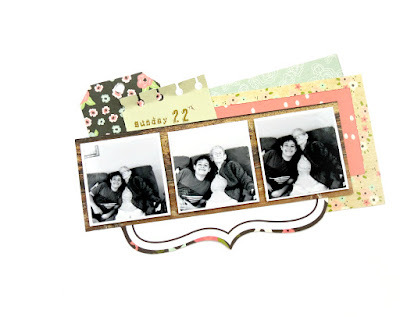 Yvette here today with a step-by-step tutorial using the August main kit! 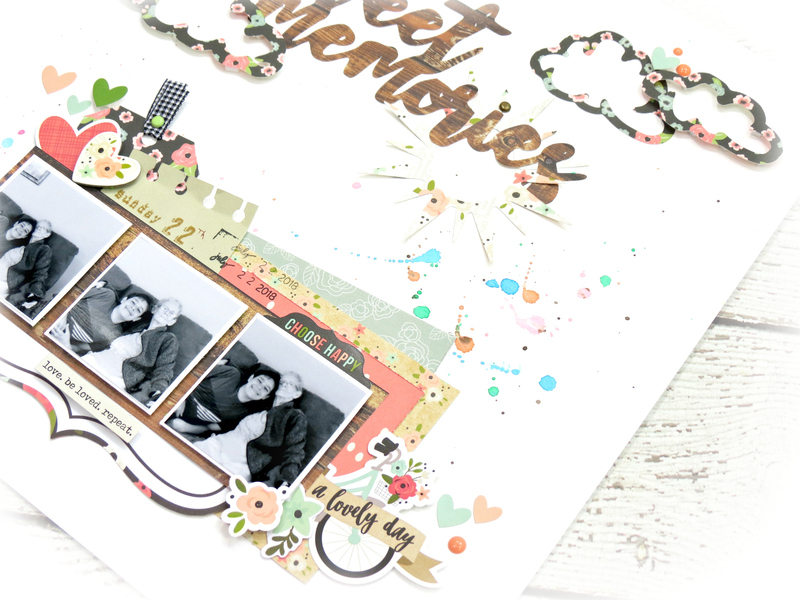 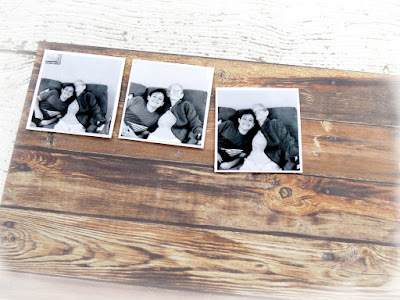 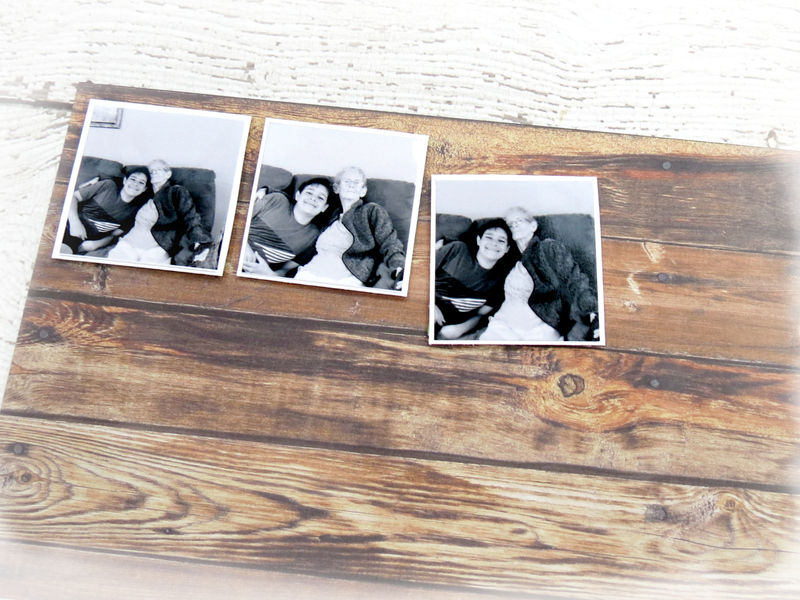 I often turn to a sketch or a cut file for inspiration when creating a layout, so I'm super excited to incorporate both this month's cut file and sketch to document a sweet moment between my son and his Grandmother. Here's a look at this month's fabulous sketch designed by Laura Whitaker! 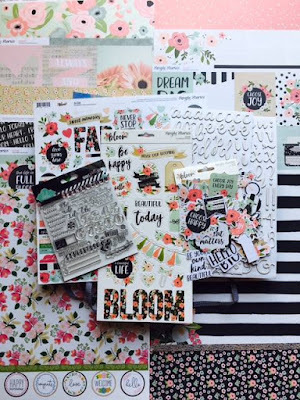 I started by matting my photos with the reverse side of the 'Bloomed' patterned paper from the 'Full Bloom' collection by Kaisercraft. 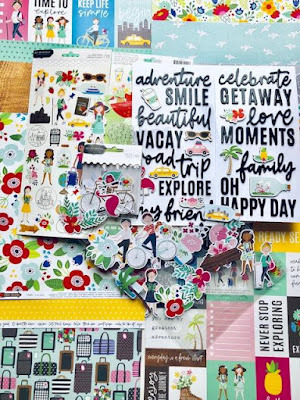 Next, I started building my layers behind my photos...patterned papers, a couple of tags, as well as one of the cut aparts journaling card which I fussy cut and tucked it underneath the bottom edge of my photos. 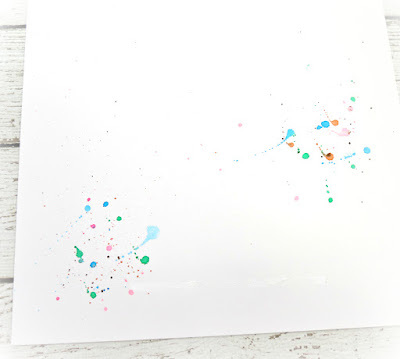 You will notice there's a mixed media background on the sketch, I achieve this by bring in a few different colors ink splatters. 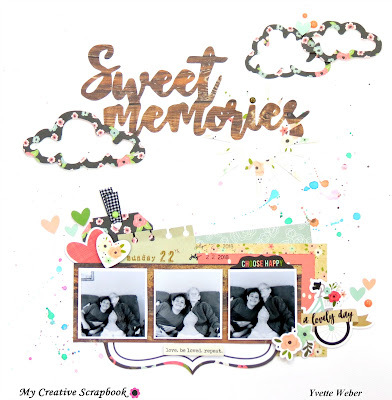 I chose to use multiple images from this month's cut file, to create a title and to fill in some of the white space at the top of the layout. 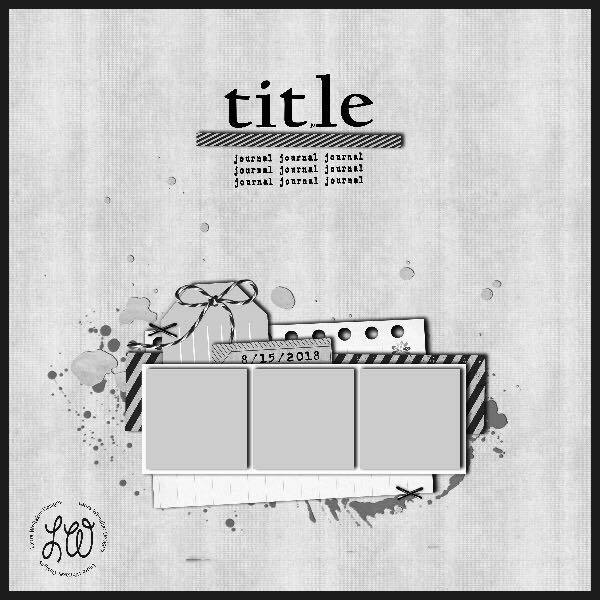 I cut the clouds and the sun from some patterned paper and love the extra detail and interest this added, when arrange around my title. I created a small cluster along the top of my photos using some of the cardstock stickers as well as one of the chipboard sticker from the 'Bloom' collection. To the right of the photos I added another small cluster of cardstock stickers. 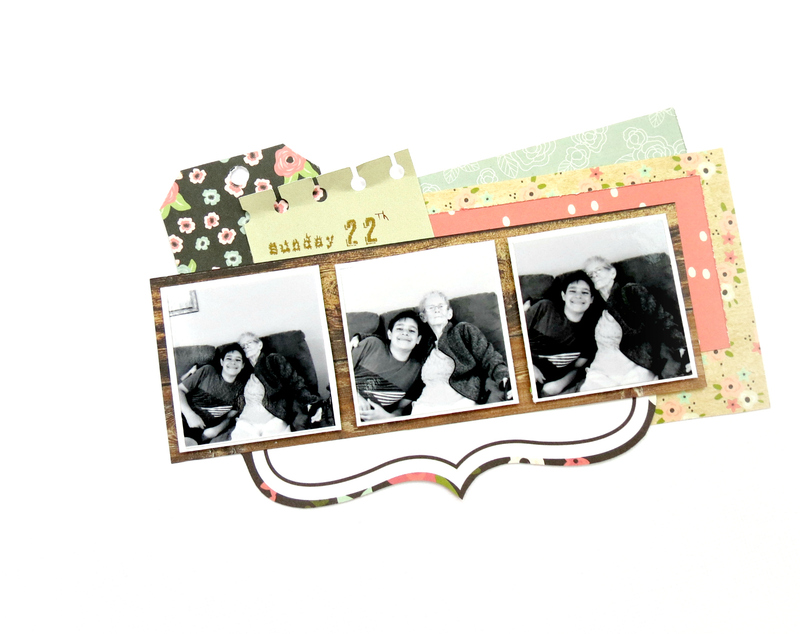 I added some foam tape underneath a few of stickers to lift them and give them some extra dimension. 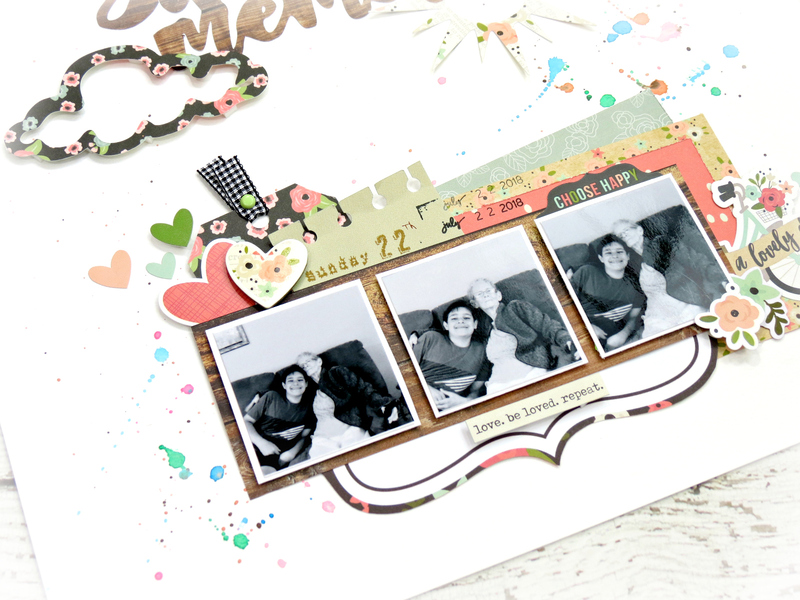 I also added the 'Love.be Love.repeat' cardstock sticker directly below the bottom of my photo strip. 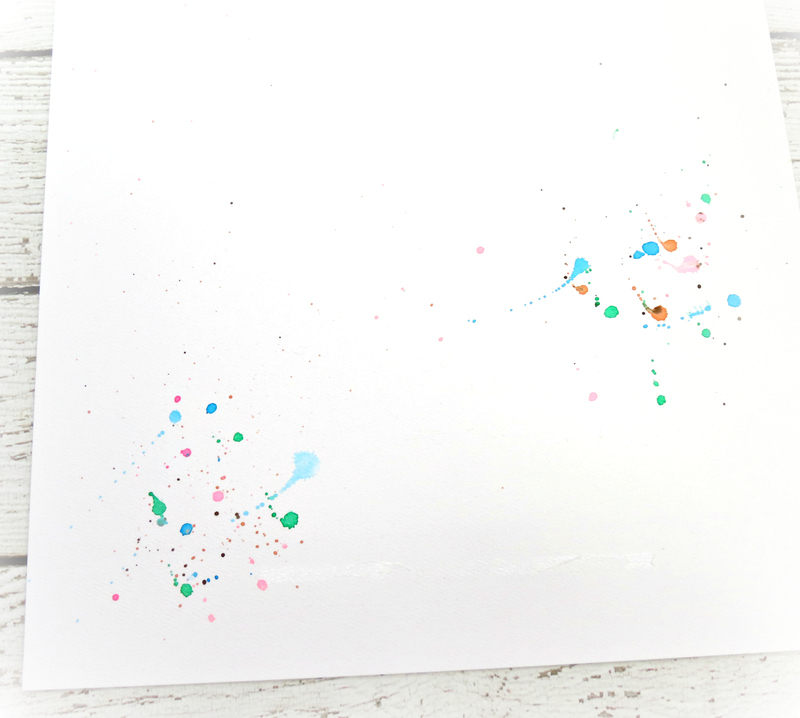 I finished the page off with some enamel dots! Nicely, done, Yvette! Very lovely!